Epson has announced its latest electronic viewfinder panel: a 4.41m dot SXGA+ display, a spec that may sound familiar to anyone who’s been reading about Leica’s SL full-frame mirrorless camera. Epson had shown a mockup of the panel at CP+ back in February 2015, and says the unit is now in mass production. The 4.41m dot unit offers an SXGA+ display: 1,400 x 1,050 pixels. This equates to 1.87x as many pixels as the existing XGA viewfinders used in most high-end mirrorless cameras: a 36% increase in linear resolution. Everyone who’s used it at DPReview has been very impressed by the level of detail shown by the SL’s 4.41m dot viewfinder. Leica has previously offered Epson-based EVFs as accessory finders for its X1 and X2 models, but these were likely to have been brought in from Olympus, given the similar styling and cross-compatibility with Olympus units. Considering the dot count and panel size (0.66″), it seems very probable that this is the LCD panel in the SL. At present, most high-end EVFs we’ve seen are XGA 2.36m dot displays, using either LCD or OLED technologies. Olympus used LCD panels in its earlier OM-D cameras but has shifted towards OLED in its latest generation. Likewise, Fujfilm used LCDs in its X-Pro1 and X100 series models, only to embrace OLED across the rest of its range. 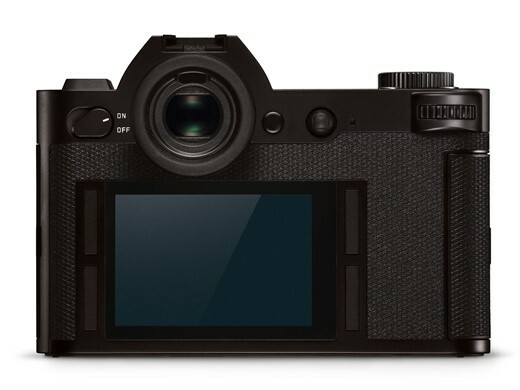 Despite this shift, we’d be surprised if we didn’t start seeing this LCD panel in some of the higher-end mirrorless cameras over the coming year or so, especially given the greater longevity of LCD panels that Leica mentioned as its reason for choosing the technology. That said, the 0.66″ panel size could limit its usage, since this is considerably larger than the 0.48″ LCD and 0.5″ OLEDs currently in use.